There is a lot more to see at the Tower than we have planned. 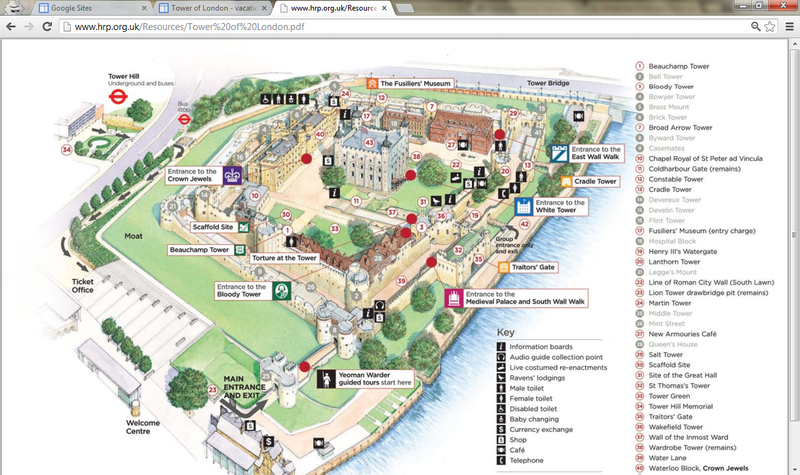 We have about 4 hours planned for sightseeing at the Tower of London. It is one of those types of attractions that you could go back to several times and have a different experience each time. We will likely be buying a membership to Historic Royal Places so we can have unlimited entry to other London attractions such as Hampton Court Palace, Kensington Palace, Kew Palace and Banqueting House. A benefit of this member is that it will allow us to go straight to the main entrance and skip the ticket queue. Another option for our family is to buy a family pass to the Tower of London. The price is about the same for 2 adults and one child. You get 2 more children in for free. A second option is if you are taking the train at all during your trip. You can usually find two for one tickets to the Tower through British Rail. 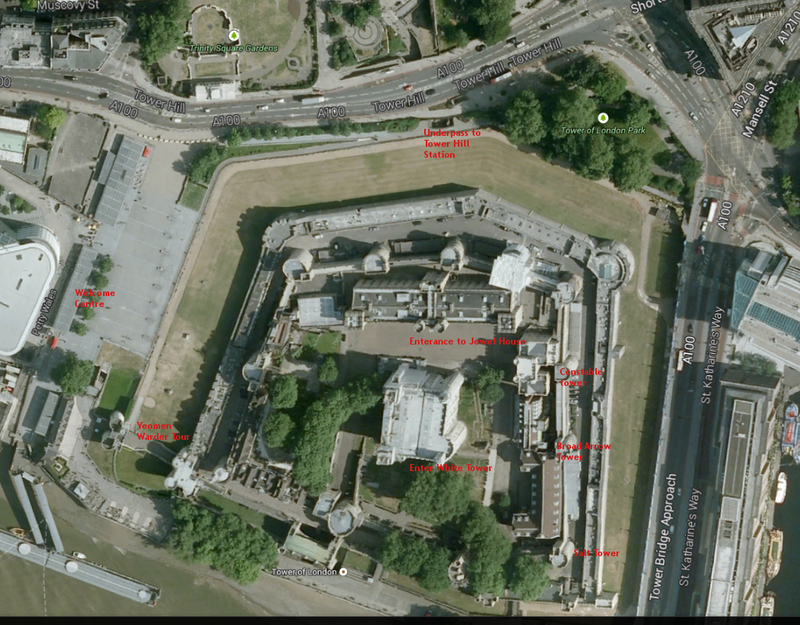 Lastly see our post on the London Pass -- the Tower of London is certainly included. Anyway you do it, look to purchase online to get a discount. We will want to time our arrival to begin with a Yeoman Warder Tour led by a Tower of London Beefeater. These start out near the entrance and last about an hour. As you come in look for a sign that says Guided Tours Start Here and has a clock indicating the next start time. The tour is mostly outside, but it is the only way you can see the Chapel of St Peter ad Vincula. The Crown Jewels are in the north part of the complex next to the Chapel in the Waterloo block. Everyone says the best time to visit is the first thing in the morning, if not plan about 40 minutes plus the wait of the line. Being that we will have either a London Pass or a membership of the Historic Royal Palaces, we always have the option of coming back another morning at 9:30 just for the seeing the jewels. White Tower - I think we will skip the tour and just go through on our own. There are 4 stories. You exit by going down to the basement. I would like to see armor and the chapel. We are planning a minimum of 40 minutes. Ravens at the Tower of London - There is a legend that Britain will fall if the ravens ever leave the Tower. As a result, these birds are well cared for by the Ravenmaster and for extra measure have their wings clipped so they cannot fly away. You can find the ravens right by the White Tower, not much to see but catch a picture and read up about the tradition. We will end up our tour on the East Wall Walk by looking for stairs between near the Salt and Lanthorn Towers. We will follow the walk to the broad arrow and constable towers to find hands-on and interactive activities. Perfect for our kids. There are bathrooms in the welcome center as you enter and behind the jewel house inside the castle walls. There is no WiFi at this London attraction. Getting to the Tower of London is fairly easy. The London Tube has Tower Hill station which is serviced by both District and Circle Lines. London Transport also has Tower Gateway Station for the Dockland Light Rail (DLR) and several bus routes. If your kids are older consider using Barclays Cycle Hire bicycles. The dock is right outside the Castle om Tower Hill Park. You can also use Tower Pier and arrive by riverboat. As you arrive to the Tower make sure to take a few minutes outside to see the original Roman Wall that surrounded the City of London. Going on a family vacation builds memories, provides life changing experiences and helps teach about the world we live in. Take time to explore, enjoy and have fun. 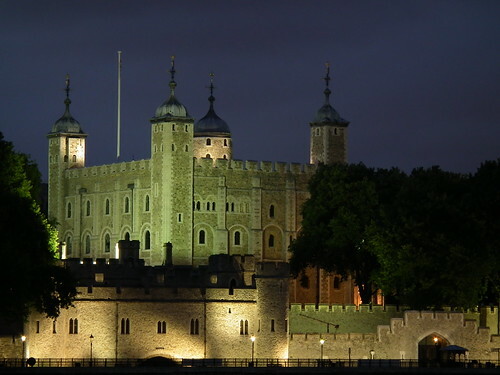 If this tour of the Tower of London sounded interesting, you may also like Windsor Castle. You can also look at our entire list of London Attractions.